If you’re a stage mom, you should accept that your high achiever’s path will at some point lead you to New York City. Considered the Mecca of professional theater, making it to Broadway is the pinnacle of achievement for aspiring stage performers. And when the opportunity came for Olivia to study with current Broadway professionals, we jumped on it. We spent two weeks in the city, and Olivia wanted to see as many shows as possible. I wanted to take her to as many shows as the budget would allow. So I searched the internet, asked some locals, and downloaded a few apps. After all my research I discovered these five (5) tips to finding the best cheap Broadway tickets. This post may contain affiliate or referral links. That means if you click on a link and make a purchase I will receive a small commission. I only recommend products and services I have used and love. The first step is to take a little time to scope out the theater before you go. Almost every show will have an online seating chart. Look to see what seats are available and how much they cost online. Once you know which night, what seats and how much the tickets cost, use the following tips to get the best deal. A great way to reduce your cost at the box office is to avoid the hefty processing fees. Online resale sites may have relatively inexpensive prices per ticket, but your total amount paid can double by the time you pay all the fees. The two $120 tickets I wanted to buy for Dear Evan Hansen on VividSeats.com became $347 once all the fees were added. No thank you. When you arrive in the city head to the box office for the show you want to see and pay for the ticket in person. The processing and transaction fees are significantly lower. Many times there is no fee at all. Olivia and I got tickets to see Alvin Ailey American Dance Theater at the Lincoln Center for $29 each. Seems obvious, right? Just type in the name of the show followed by the words “discount code” to find available discounts. Sites like Offers.com, TicketMaster.com and discount platforms like Groupon will often have available codes to use for cheap tickets. Then, you go to the box office, mention the code, get the discount AND avoid the fees. Double win! Olivia and I saw the revival of Carousel, starring Joshua Henry as Billy Bigelow, for $49 each. And he replied to my Instagram post about the show.  Life made. My good friend and New York native shared with me the apps that locals use to find cheap tickets to the shows they want to see. The ones I found most useful are TKTS and TodayTix. TKTS offers tickets to different shows each day for up to a 50% discount. When you see what’s available you visit one of the four (4) ticket booths throughout the city and to purchase the tickets. Since we stayed in Brooklyn I went to the Brooklyn booth and purchased tickets to see SpongeBob SquarePants The Musical for $50 each. TodayTix also has tickets available for different daily rates on the app. But, you can purchase tickets through the TodayTix app without visiting a ticket booth or box office. You will have to pay the transaction fees, but the offset of the discount usually compensates for the fee. And some shows are fee-free through TodayTix. 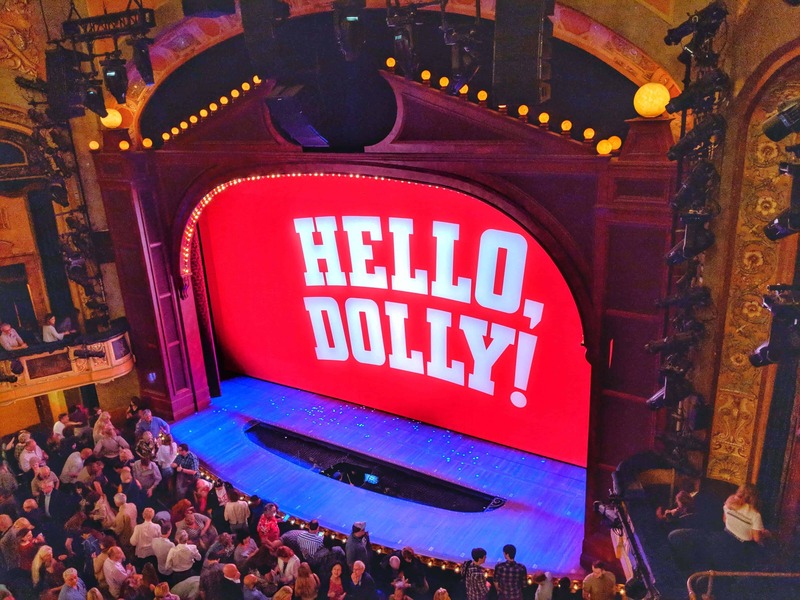 Since Olivia’s program already had a ticket for her to see Hello, Dolly! I was able to get mine for $45 with no fee. We also bought tickets to see the off-Broadway production of Carmen Jones starring Anika Noni Rose, for $49 each. The fees were $7.50 per ticket, but that still made the total cheaper than the $59 per ticket discount code I found on Google. If you’re truly committed to saving some coin and scoring the cheapest of cheap Broadway tickets get up early to beat everyone else to the box office. Many shows have rush seats, ticket lotteries, standing room spaces, and will sell cancellation tickets on a first come, first served basis. BroadwayForBrokePeople.com keeps a running list of the current options available for tickets starting as low as $30. You will want to bring a chair or a cushion, a good book and your patience. In order to guarantee a chance for tickets, you’ll need to get there hours ahead of time. I got to the box office at 7 AM for tickets to see Come From Away. I was 7th in line and basically had my choice of the tickets available. I arrived at Mean Girls at 8 AM and missed getting tickets by 5 people; the people at the front of the line got there at 1:45 AM. I’m not THAT committed. We were able to score rush tickets for Come From Away for $32 each and we won the ticket lottery for Once On This Island at $59.50 each. And because they are only available at the box office, there are no fees. Now that you have your tips, which shows are you going to see? Let me know in the comments! Also, let me know if the tips worked and how you liked the show!